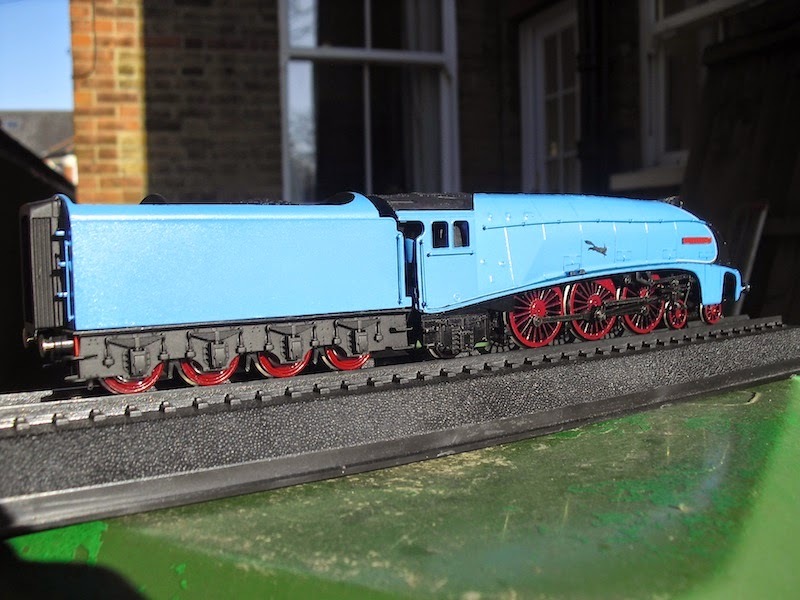 THE BRITISH RAILWAY STORIES LTD: "Silver Fox"
No.17 Silver Fox has seen the light of day for the first time…Fox Transfers etches and transfers. The red - humbrol no.20 - really comes out well in the sunlight. …which shows an A4 in a rather pleasing, and not at all dark, shade. 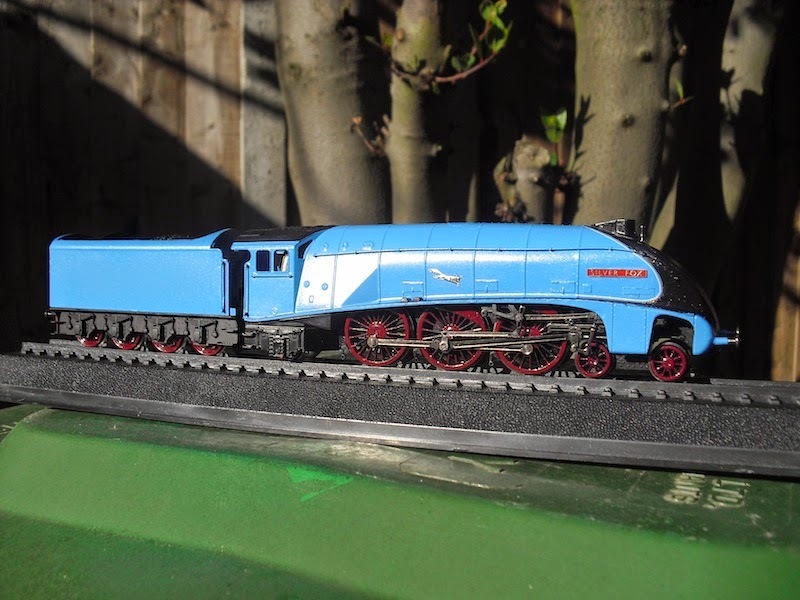 Frankly I think it looks the part, I am sure a lot of people will disagree with me and say I've got it totally wrong, but hey, I've put my work out there and actually done some modelling, including a full repaint and a lot of bodging. …is light enough to be considered a better match than that I've used? 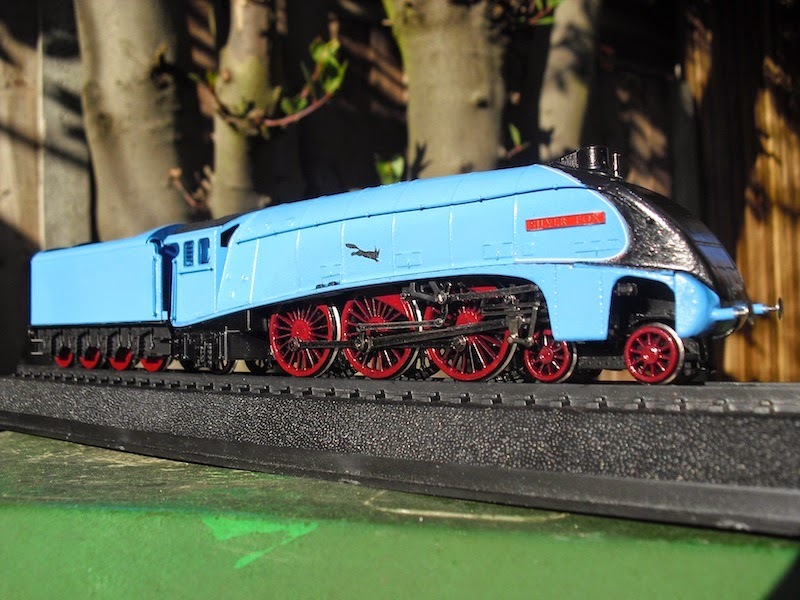 For my own peace of mind, I finally have an A4 Pacific which I'm pretty satisfied with in a lot of areas, unlike previous conversions. 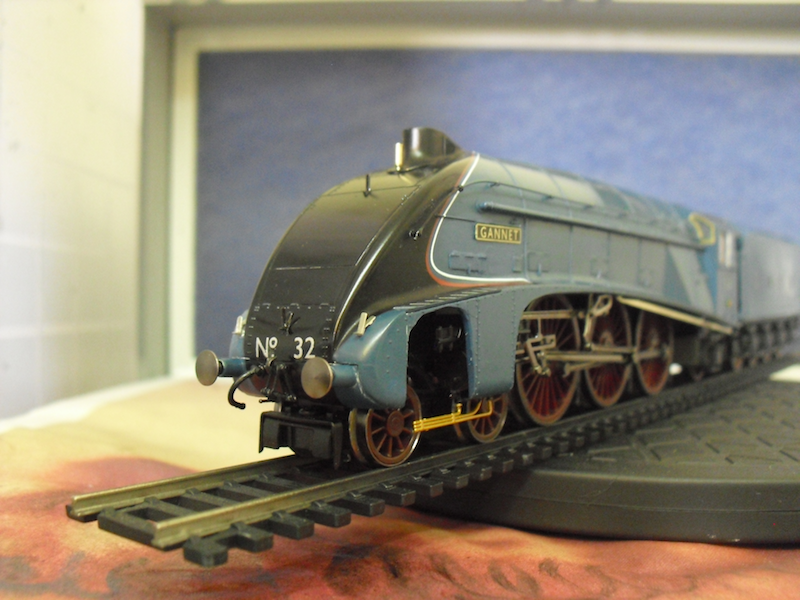 Prototype 2 using the Hornby chassis is up next and will hopefully look just as good. I do know there's a few things I will do differently though. 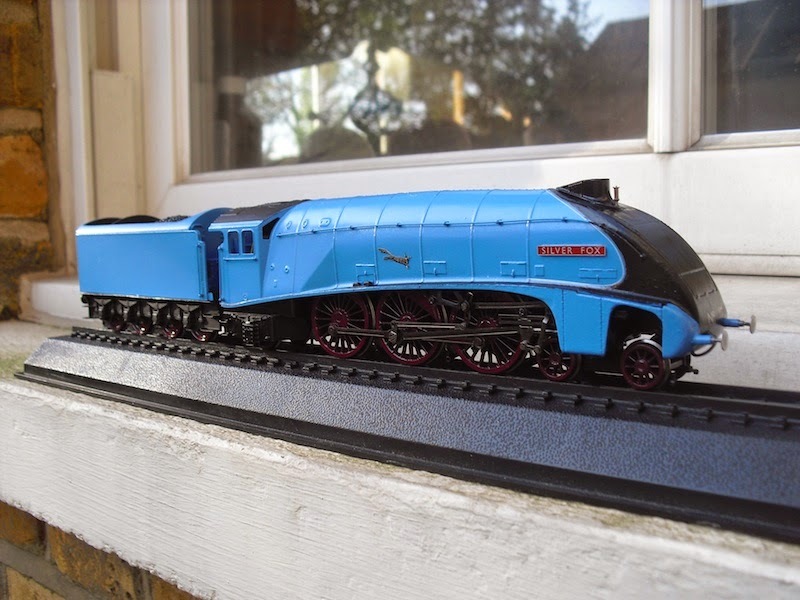 The Bachmann chassis does feel like the natural choice at the minute, given the ease of the conversion compared to the Hornby chassis.